House rental seems to be an increasingly viable option for many British people. For tenants, renting is sometimes the only option in a booming housing market, whilst landlords are set to profit from the housing shortage and continued city migration. However in both rental circumstances, both tenant and landlord can find themselves incurring hidden fees. Whether you're a landlord looking for a buy to let mortgage, or a potential tenant on a house hunt, you should always make sure you're aware of the most common hidden fees associated with house rentals. Letting Agents can prove to be one of the costliest hidden fees for both tenant and landlord. For landlords, they are most useful for drawing up legal contracts for the tenants, managing the property and any tenant queries, as well as advertising and finding the tenants in the first place! However, despite their usefulness, when letting agent's fees are taken into consideration, some landlords chose to go it alone when managing their properties. Although most letting agents are fair with their fees, there are always a few rotten apples that can overcharge. If looking for a letting agent, a landlord should never have to pay to see the information on their books - this is actually illegal and should reported as such. Letting agents usually take around 10-15% of the monthly rental fee, and sometimes can withhold the first two month's worth of rental payments. This means that when they finally release the rental payments to the landlord, the figure received could be less than expected. Similarly, tenants can expect to have to put down two month's worth of rent as a deposit - when a decade ago it was only around half of this amount. When signing a rental agreement, tenants can expect to pay the letting agent a one-off administration or 'move-in' fee. This is, of course, a variable rate depending on the letting agency, as well as the location, but tends to be around £100 per head. The landlord can also expect to pay the letting agency a 10% finding fee for finding the tenants. For landlords, letting agents will charge for drawing up a contract. Whilst this is expected, there are some letting agents that may charge this fee each time a shorthold (6 month) tenancy agreement is needed on the same property for existing tenants. Other hidden fees are usually found in the guise of 'vetting costs', where the letting agency screens tenancy applicants, as well as 'inventory fees' - the charge applied for compiling an inventory of the property being rented out. Strangely, it can be the tenant and not the landlord that is hit by these hidden fees. It is thought that some of these fees are also simply superfluous and profit-driven, rather than practical or useful. Bear in mind that by law, a letting agency cannot charge any fees before a letting has been created - they can only be charged once both the tenant and the landlord have agreed the contract. Also, any fees that are described as 'non refundable' are actually in conflict with current OFT regulations. Any discrepancy resembling a non-refundable fee in a contract should be addressed immediately. 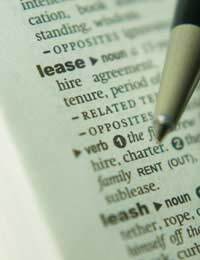 When purchasing a property for rental, the landlord-to-be will need to take out a specific buy to let mortgage. However, these mortgages are thought to be riddled with extra costs and hidden fees, most notably in the guises of arrangement fees, valuation fees, mortgage transfer (telegraphic transfer) fees and other legal fees. Telegraphic transfer fees in particular are thought to be inflated up to 850% of the actual cost of a transfer. For a successful tenancy, both tenants and landlords are advised to try and opt for an ARLA (Association of Residential Letting Agents) accredited letting agency. This ensures that both parties are looked after, and any unfair hidden fees and charges can be subject to review. @Rachd - I have included an additional link to the Shelter article; letting agent fees and charges, here which should help answer your question. I want to leave a property early and the agency was 1 months rent + vat (£618) for the landlords fees and for me to also pay the rent until a new tenant is found. And also a moving out fee of £60 + vat. I believe the property would have no issues being re let but the fee is ridiculous. Is this normal?